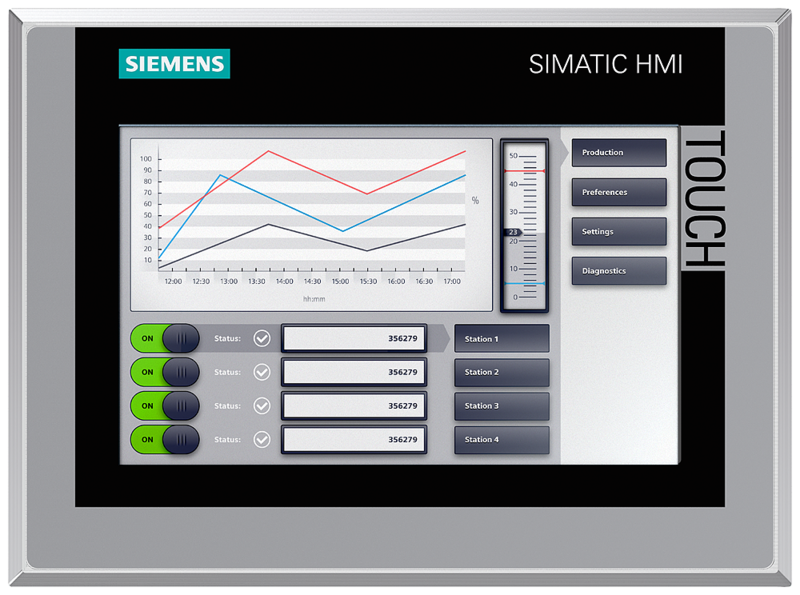 Siemens SIMATIC HMI Comfort Panels with stainless steel fronts are specially designed for use in the food and beverage, pharmaceutical, cosmetics and fine chemical industries as well as other hygienic areas. They feature the same functions as the standard Comfort Panels and fit into the same panel cutouts. The high quality requirements of the food and beverage industries necessitate a high standard of the food processing machinery. The essential issue in this case is that all facilities and components are easy to clean and disinfect, so that cross-contamination of food products can be avoided. The panel's stainless steel front is ground with 240 grain and thus has a suitably smooth surface. 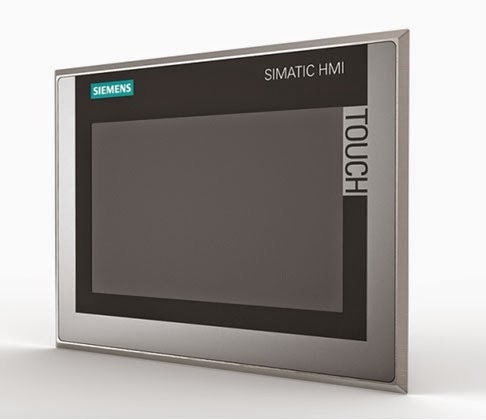 The foil enclosing the display has been tested with respect to chemical stability; it minimizes grooves and gaps in which microorganisms can be deposited and in addition provides splinter protection for the display.